BARCELONA/MADRID - Spain’s Constitutional Court on Thursday ordered the suspension of Monday’s session of the regional Catalan parliament, throwing its plans to declare unilateral independence from Spain into doubt. Spanish shares and bonds, which have been hit by the political turmoil in Catalonia, strengthened after the news of the Constitutional Court’s decision. The main IBEX stock index rose 2.3 percent, on track for its biggest daily gain in a month, and Spain’s 10-year bond yield was set for its biggest daily fall since April. Spain’s Economy Minister Luis de Guindos told Reuters in an interview the turmoil was damaging Catalonia. 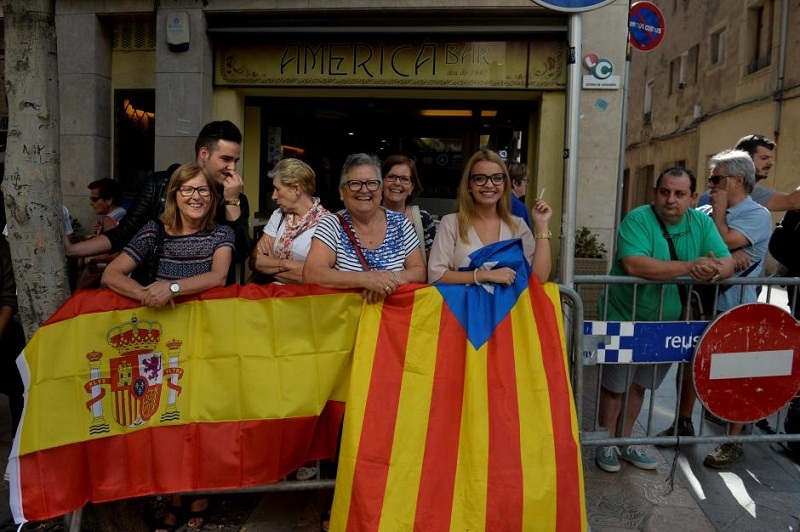 “This is generating uncertainty that is paralyzing all investment projects in Catalonia. I‘m convinced that, right now, not one international or national investor will take part in a new investment project until this is cleared up,” he said. Spain’s Constitutional Court on Thursday ordered the suspension of Monday’s session of the regional Catalan parliament, throwing its plans to declare unilateral independence from Spain into doubt.